Ideal for combination or oily skin, this nighttime skin-refining moisturizer diminishes the appearance of fine lines and wrinkles by hydrating and exfoliating the skin. Special extracts help replenish moisture, while a 10% hydroxy acid blend gently exfoliates to help restore a healthy, radiant complexion. Added tangerine oil helps clear acneic, congested skin. In the evening following a SkinCeuticals cleanser and toner, gently massage a small amount into the face, neck, and chest. Aqua / Water / Eau, Propylene Glycol, Caprylic/Capric Triglyceride, Vaccinium Myrtillus Extract, Stearic Acid, Squalane, Saccharum Officinarum Extract / Sugar Cane Extract / Extrait De Canne A Sucre, Peg-100 Stearate, Glyceryl Stearate, Dimethicone, Ceteareth-20, Cetearyl Alcohol, Tocopheryl Acetate, Phenoxyethanol, Citrus Aurantium Dulcis Extract / Orange Fruit Extract, Citrus Medica Limonum Peel Extract / Lemon Peel Extract, Xanthan Gum, Acer Saccharinum Extract / Sugar Maple Extract, Methylparaben, Citrus Aurantium Dulcis (Orange) Oil, Ci 17200 / Red 33, Ethylparaben, Propylparaben, Isobutylparaben, Butylparaben. I am in my 40's with oily skin. This stuff clogged my pores and broke me out. A waste of money. Steer clear if you have oily skin. I Love this cream, I use the Skinceuticals Retinol cream and than put.this renew cream on last..my skin is soft and smooth and not dry. This is the best night treatment I have ever used. I have oily skin and this cream gently exfoliates overnight and my skin looks great the next day. Finally found something that works well with my skin. 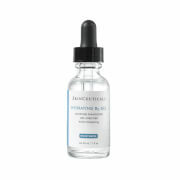 SkinCeuticals products are wonderful. I like this moisturizer. It goes on kind of heavy and slightly greasy. However when I wake up, my skin is smooth and soft. It's not greasy at all. I bought this for my acne. It hasn't made a difference in that area. I believe it is due to the hormones in my birth control. I recently switched bc pills. I'll continue to use the jar until it is done, but I don't know if I will order it again because it is so expensive. I've bought this product twice and will do so again when I run out. This is a great night cream. It exfoliates gently, hydrates and makes my skin feel great when I put it on. The result is diminished lines and smoother, great looking (I've been told) skin. Worth every penny. I have oily skin. When I was using other oil-control products in the past, I still woke up in the morning with oily face. After using this product, my face feels supple, smooth, moisturized but never oily, in the morning (gently exfoliated during the night). I also like the texture and the way the product glides on my faces smoothly when applying. Feels like I am giving myself a mini treatment each night. The only problem that I have is that, although I like the look of the simple, minimalistic packaging, the jar is so smooth that it slipped out of my hand couple of times and fell on the tiled bathroom floor. And it broke both times. I wish that the company would improve the packaging for more durability and ease of grip. 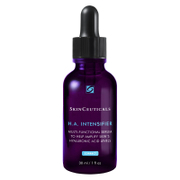 However, considering that I am not nearly satisfied with any other oil-control products I've tried in the past, I still give this product 5 stars. My long time search is finally over. I have been searching for a lightweight night time moisturizer for years. Finally after reading the reviews of this facial moisturizer, I decided to fork over the $57 and try it. I am so glad that I did. I have had problems with other facial creams, most are too heavy and cause my skin to break out. 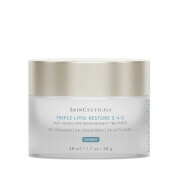 This moisturizer goes on light weight, absorbs instantly and I have not had one break out yet. My skin is super sensitive, so I am hesitant to switch once I find a cream I do not have a reaction to. I am sticking with this one. I highly recommend this product to anyone with oily/sensitive skin...it is the BEST! !